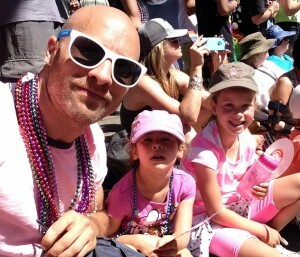 Last Sunday, I took my two daughters to the Vancouver Pride Parade. Though I was certain my four- and seven-year-olds would enjoy every ounce of the many colors and sounds, and the energy of the parade itself (few events produce the same level of spirit as a Pride Parade) a day of fun wasn’t my prime motivator. 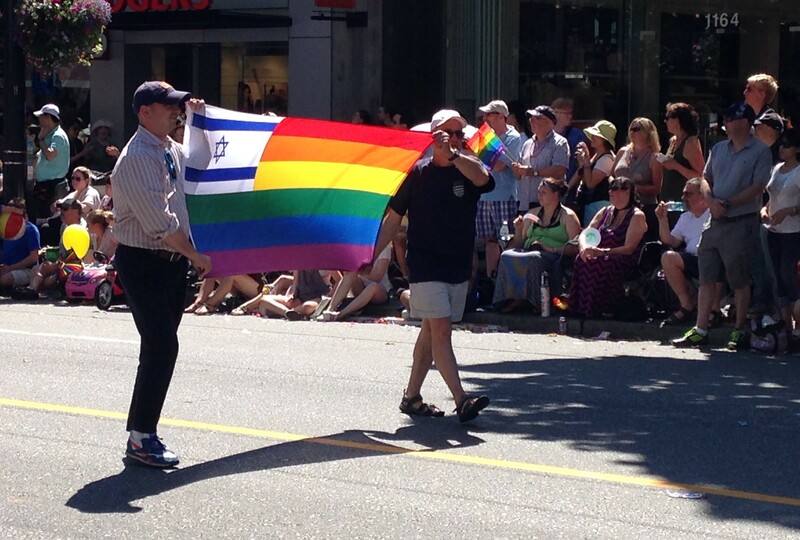 I had seen a posting on Facebook from Yad b’Yad, a community-based group that rallies local members of all sexual preferences each year to represent the Jews of Vancouver in the parade. Pride: In so many ways! I decided that with everything going on in Israel at the time, combined with the dramatic presence of antisemitism spreading across the globe, never was there a better time for me to teach my children about tolerance, acceptance, diversity and pride. Yes, there were a few questions I had to be prepared to answer – like when one of the participants handing out freebies to the crowd placed a couple packs of Trojans in my seven-year-old’s hands. I responded to the expected, “What’s this, Daddy?” with an abbreviated version of how she wouldn’t be enjoying this parade if Daddy had those eight years ago. A quick shrug of the shoulders and she was back to watching “princesses” roller skate down the street to roaring cheers. The value gained in that experience, led by the conversations I had explaining the importance of the parade, was what made me most proud. That’s because one of the scariest things I see when I look closely at Israel’s Middle East problem is the amount of education-themed hatred being passed on to children in the region. Cartoon characters who preach killing Jews and manipulated curricula that offer false truths about the Israeli-Palestinian conflict all but guarantee this crisis is not likely to end until well beyond my days. Outside of the Middle East, the Hamas propaganda machine – which has clearly become their most powerful weapon – has helped spread hatred and bigotry around the world and, in some cases, just down the street from our own homes. Like many other people I know, I have found myself walking around my country, my city, wondering how many people around me would like to shame me and my family because of something they once saw on TV or read on Facebook. I’ll always do all that I can debating with and educating folks via various social media outlets. But the most important thing I can do for the future is teach my kids. Teach them to love. Teach them to accept. Teach them to continuously open their minds to the many choices free people have in this world. It’s entirely possible that watching half-naked men and women prancing up Robson Street is not for everyone (say, what!?). But I encourage parents, aunts, uncles, cousins and friends everywhere to do something unique, outside of the box, and, especially, meaningful to provide your youth every chance to identify the difference between right and wrong. They will see it all on Facebook one day. Better they are prepared to figure it out for themselves when they do. Follow Kyle Berger here, at Berger With Fries or on Twitter!